This week, I received a set of single pitch Louet mini combs. I had been holding off on buying a set, thinking that the wee little combs probably weren’t terribly useful. They’re too small, too fragile. What could I do with them? 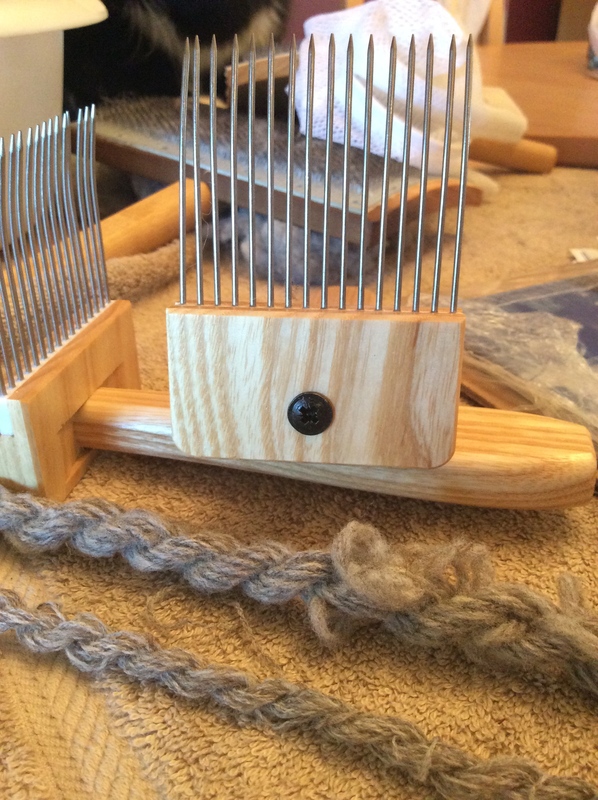 Then I started spinning off of my single pitch combs. They were too big, too heavy. It was hard for me to hold the comb for any long length of time, so I gave in. Really, I was so, so wrong. The Louet Mini-Combs are small, light, and perfect for shorter fibers and spinning off the comb. I was able to comb the let wool of the Rambouillet I’ve been working on without any trouble at all. 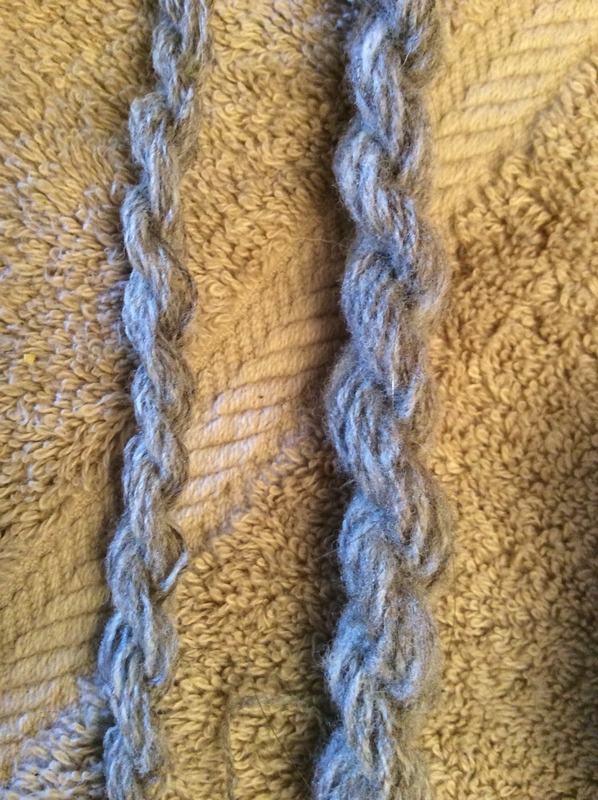 The resulting two ply wasn’t perfect, but the fiber wasn’t perfect either, and the contrast between the woolen yarn that I’ve been spinning with the same fiber, and the worsted sample off of the combs, is remarkable. The small size and light weight of the combs ensure that they will take the place of my english combs in my travel spinning box. Thank you to Webs for having these combs in stock. Also included in the box was a pack of ten cardboard bobbins. I’ve found that spinning for a project requires a place to store singles until I’m ready to ply. I’ll talk about those another time though. About that yarn up there with the mini combs, you can’t tell in that picture, but it’s a great example of carding vs combing. Combed on the left, carded on the right. See how much halo there is on the right yarn? 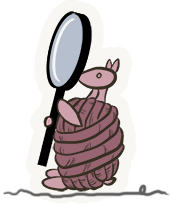 It’s a lighter, fuzzier yarn. This is short leg hair I’m spinning, so it’s not as soft as the body, but still plenty soft enough for my five year old’s winter woollies for this year.